Sauté the onion on medium-high heat in the olive oil. Drain the water from the tofu. 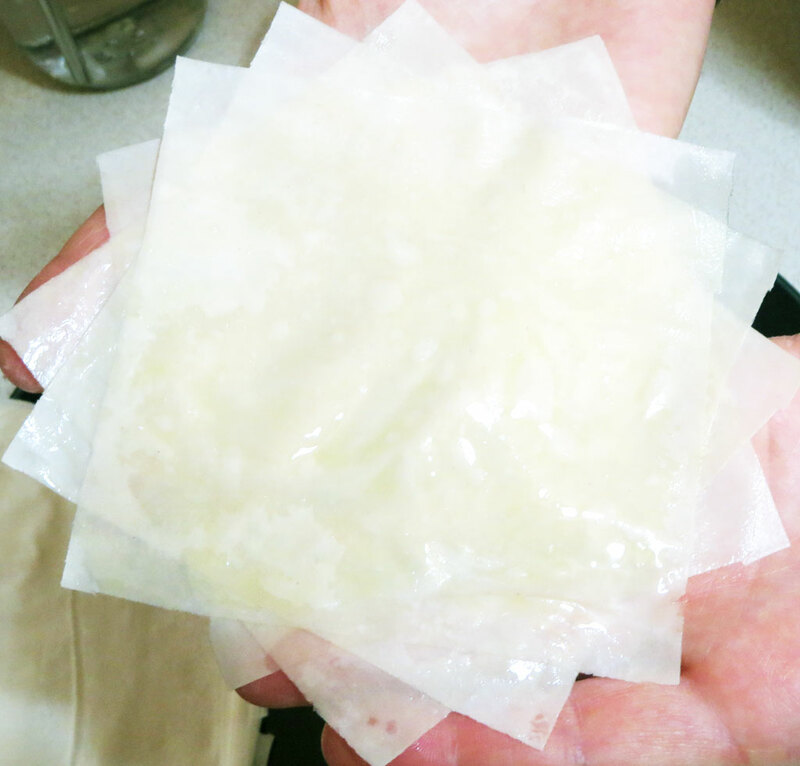 This can either be easy (if you have a tofu press) or a workout (if you have to place the tofu in a kitchen towel and squeeze all the water out by hand). Add the tofu to the onion and stir well. Reduce heat to medium. Wash and slice the mushrooms, removing and composting the stems. Add them to the pot. Stir often. Add spinach or other chopped greens to the pot. Stir often. Mix the spices (salt, pepper, garlic powder, basil, curry powder, cumin, turmeric, nutritional yeast, and braggs liquid aminos) in a jar or cup with 1⁄4 c water. I usually put it all into a jar, tighten the lid, and shake. 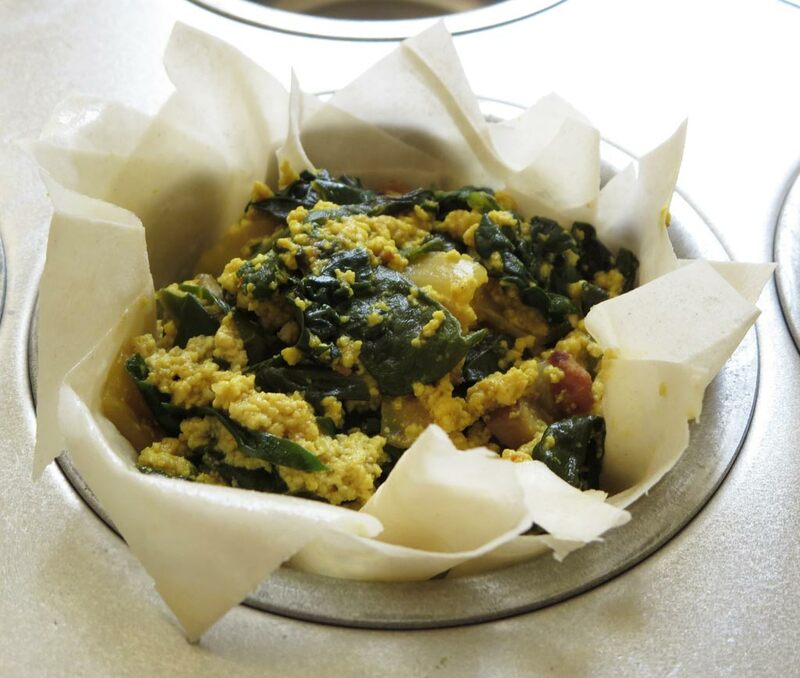 Pour seasoning sauce over the tofu scramble and stir well. Reduce heat to low. 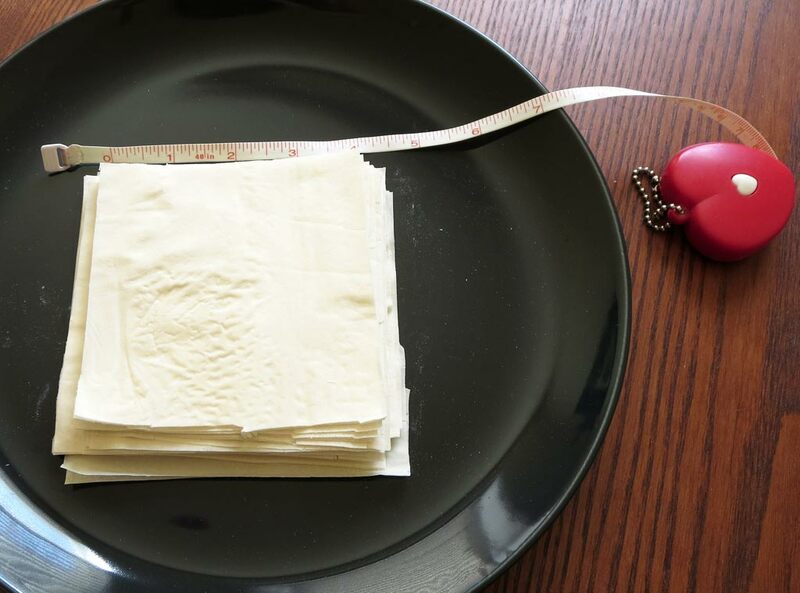 Cut 4 inch squares of phyllo dough using sharp kitchen scissors. Be careful during this step. 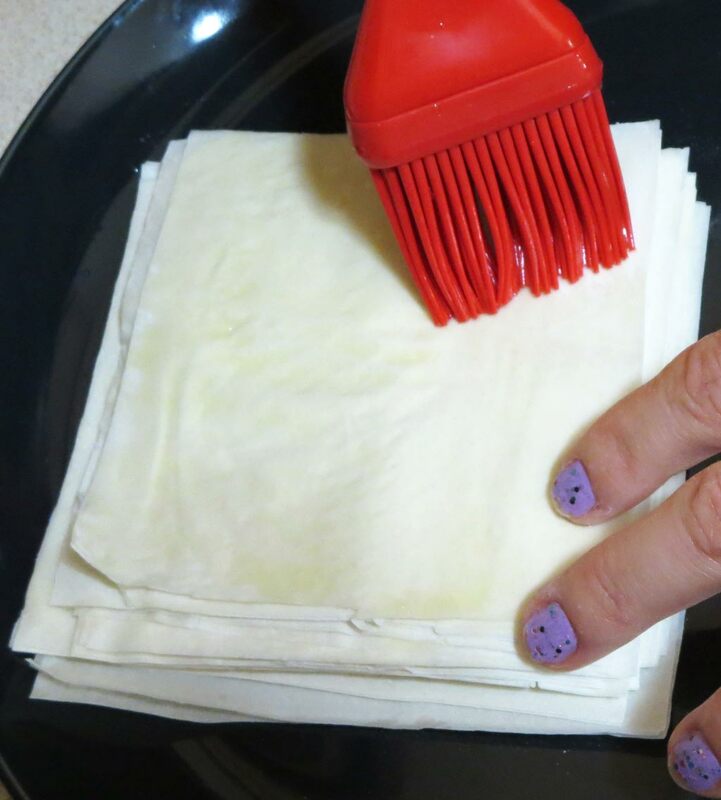 If you haven’t used phyllo before, it’s like trying to work with wet tissue paper…very delicate. You’ll be using 4 squares per basket, so you can calculate how many you’ll need to cut that way. Brush olive oil all over each layer of phyllo before stacking them together. Stack 4 pieces on top of each other, either aligned as squares or staggered the way I did. 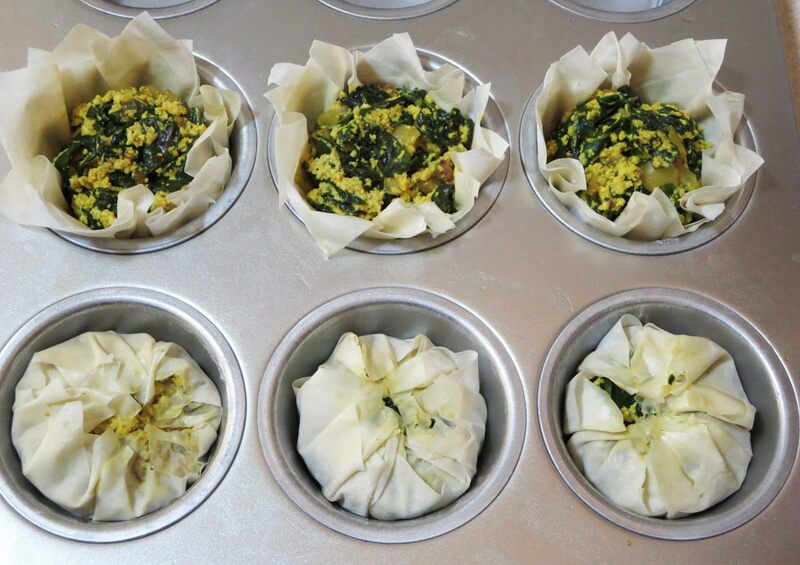 Lay the 4 layers over a cupcake/muffin tin cubby, and fill with 1⁄4 c of scramble. 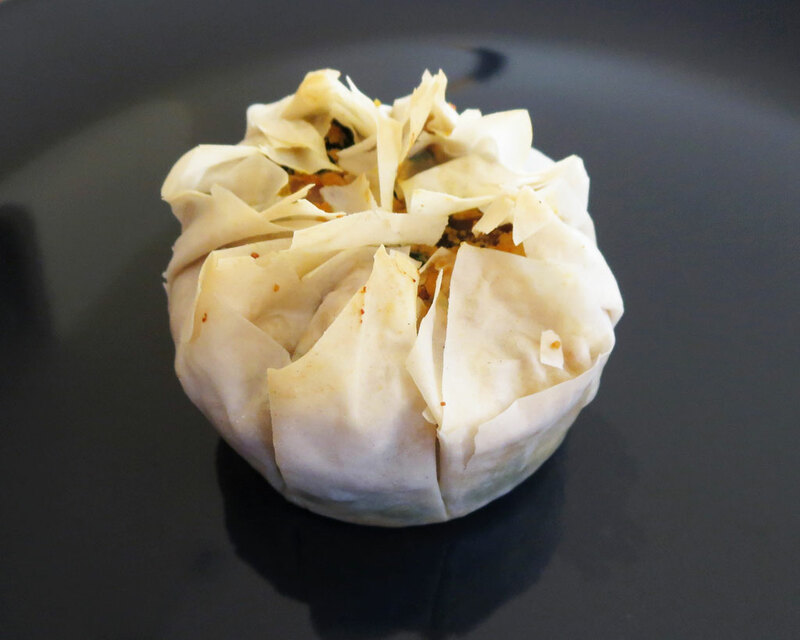 Close the baskets by folding the edges of the phyllo toward the center, like you’re wrapping a present. Bake according to the directions on the packaging for the phyllo dough.